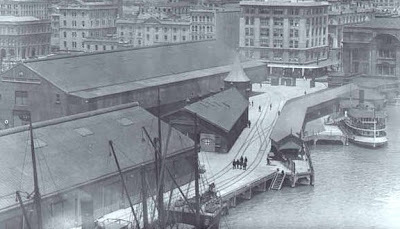 I've mentioned the fact the Queens Wharf sheds had verandahs in times past. Thought you might be interested in the evidence. 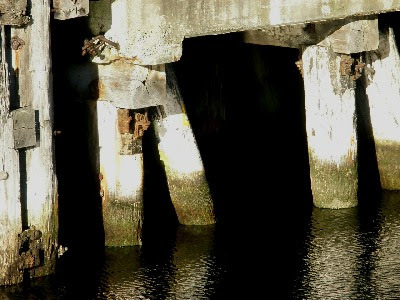 The wharves also had a couple of other interesting building shapes. Thought you might be interested in those too. See the picture below. The Queens Wharf debate has been dominated by kneejerk calls for an iconic building. 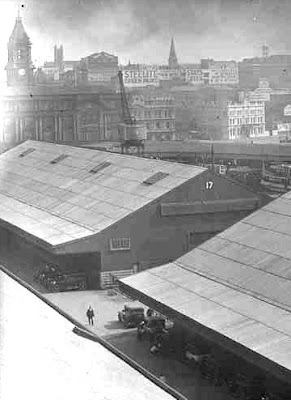 When Tank Farm/Wynyard Quarter was liberated from Ports control the debate then was about the need for an iconic building. And while original planning for Princes Wharf redevelopment advised against an iconic building, the Hilton Hotel got built there anyway. Big enough to block surrounding harbour views, and big enough to dominate the small public spaces squeezed around it. 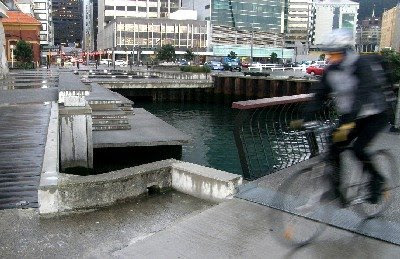 Auckland needs iconic public spaces on its waterfront far more than it needs another iconic building. Public space has been undervalued in Auckland’s CBD for as long as I can remember. 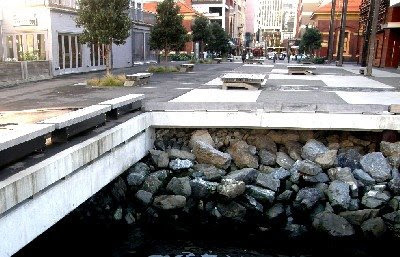 The development of Aotea Square marked the start of public space decay. 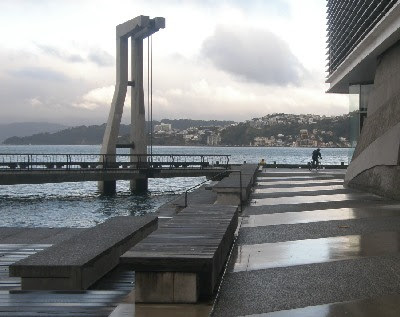 Conceived as a transformational urban project – together with Mayoral Drive, Aotea Theatre and new Council offices – its main driver was the need to decongest city traffic. 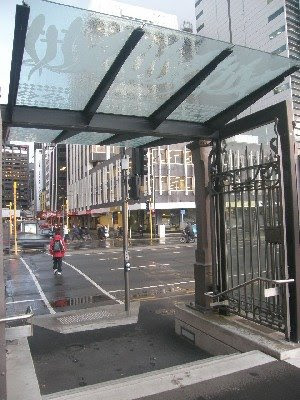 Much of central Auckland’s built heritage, character streets and public spaces were destroyed. Aotea Square works as a market place but is largely unsuccessful as a public place and remains unloved by Auckland. 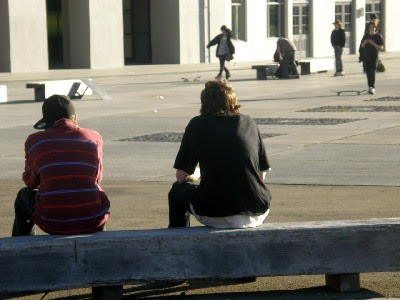 Queen Elizabeth Square is a more recent example of the decline in the quality of Auckland public places. Now a desolate bus park with a few struggling Kauri, though the addition of the glasshouse coffee kiosk has been an improvement. The absence of alcohol in these findings reflects the fact Whyte’s research encompassed the whole demographic. He was as interested in understanding what attracted children, families and the elderly to New York public places, as he was in the behaviour of youth and the upwardly mobile. 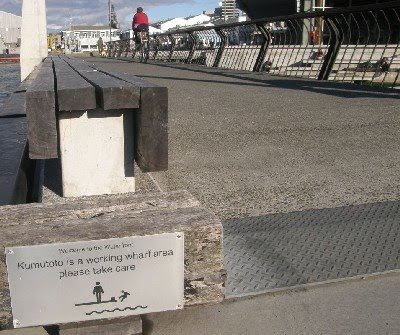 Last year I worked with a group of Auckland University Planning Masters students who analysed Auckland’s waterfront public places using Whyte’s observational methods. We added: harbour views; wind shelter; and activities of interest to Whyte’s criteria, allowing analysis of waterfront open space amenity. 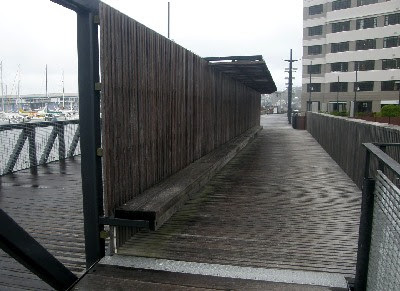 We found that Waitemata Plaza in Viaduct Harbour is the only downtown Auckland waterfront space with public toilets. 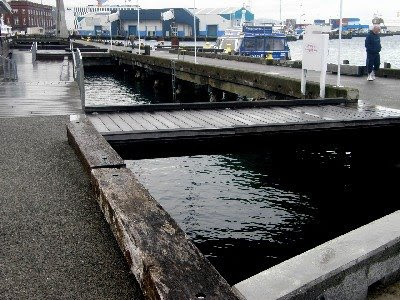 Compare, for example with Wellington’s waterfront. Wide harbour views can only be had from the end of Wynyard Point and the Hilton Hotel. 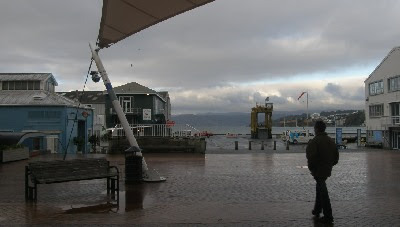 Compare, again, with Wellington’s waterfront. 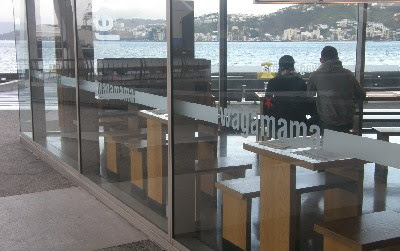 There is limited provision of simple food (as opposed to restaurants and bars) or retail in and around Auckland’s waterfront public places. 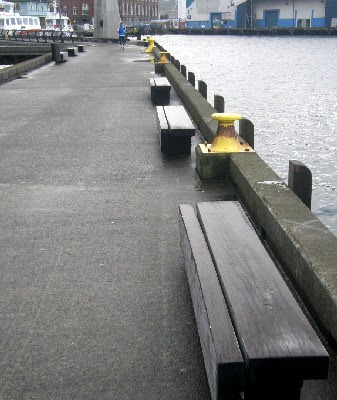 The best waterfront public seating is across the road from the Price Waterhouse building. 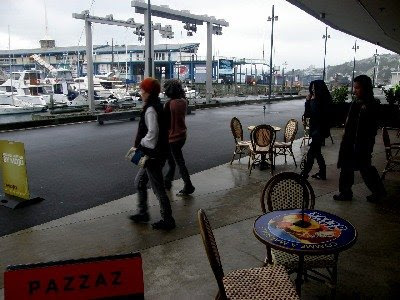 But there are no public toilets, no takeaway food or retail, and harbour views are obstructed by the Hilton Hotel building that dominates Princes Wharf. 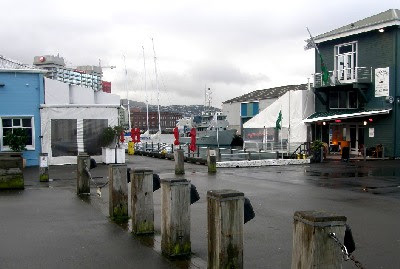 Auckland must learn from its mistakes or they will be repeated on Queens Wharf. Reading these words today it is hard to understand how the Hilton Hotel complex actually got built on Princes Wharf. It is hard to reconcile those words with what got built. 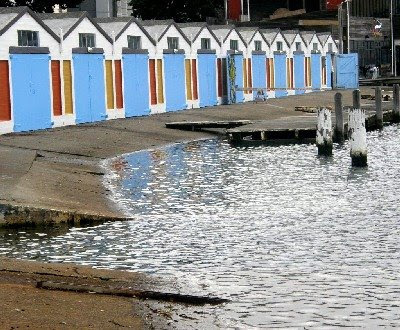 Where are those sheds now on Princes Wharf? Where are theatres and art galleries? What about public enjoyment? 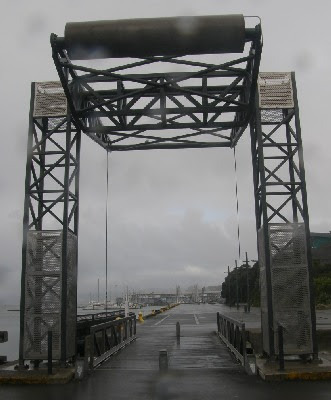 Today, after an investment of $40 million of public money Auckland has public control of Queens Wharf. 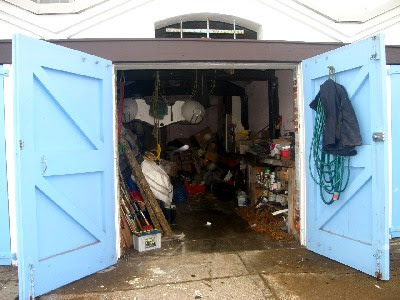 I am relieved that a combination of the need to provide space for a Rugby World Cup party and scarcity of public funds, means one option is to tidy up the old sheds on Queens Wharf. 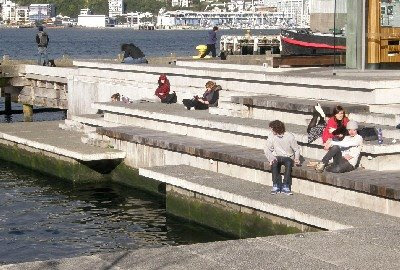 This presents an opportunity for civic experimentation and the creation of a successful waterfront public place. I agree with Alex Swney - now is not the time for hasty, iconic and embarrasingly permanent structures. Instead lets bring theatres, food markets, and fashion shows into the sheds, and flag poles and light shows, moveable-feasts and treats-on-wheels onto the wharf. 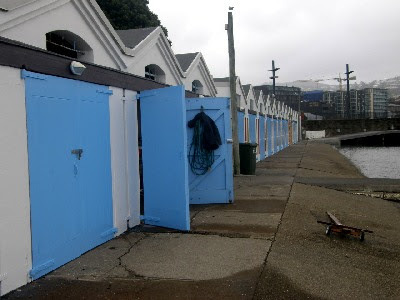 Open up the Queens Wharf sheds and restore their verandahs, so that in 2012 when they are exactly hundred years old they are fit for purpose, providing for the needs of the public and fans from the floating hotels moored alongside. And don’t forget toilets and seats sheltered from the wind. 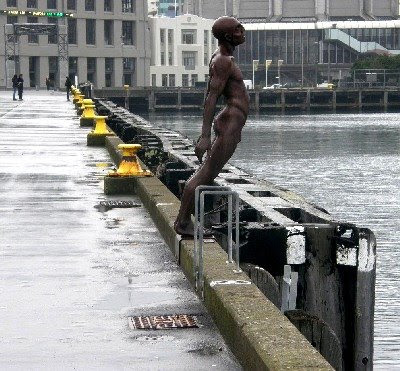 That's what I think about Queens Wharf. By all means go down the road of iconic buildings when RWC is over. Perhaps. But let's have a good solid design competition first. At least as comprehensive as was deployed for Britomart Railway Station. Not a a bunch of architect's drawings slung together in a jury-rigged process. In the meantime, let's use those sheds. “Governance arrangements for the Auckland Regional have been a cause of concern for at least the past 50 years”, begins the policy statement introducing Government’s Bill to abolish Auckland’s existing Councils next year, and establish the merged Auckland Council. There is no mention in that policy statement of successes banked in recent years thanks to accelerating implementation of the Auckland’s Regional Growth and Land Transport Strategies. No governance system is perfect. There are always winners and losers. While there is widely acknowledged room to strengthen regional governance, it is important that Auckland does not lose momentum through governance changes that risk derailing good city building work in progress. Exemplary projects in recent years include: Britomart Station, Newmarket Station and Central Transport Connector arterial upgrade projects run by Auckland City Council; the New Lynn station and town centre project managed by Waitakere City Council’s development agency; Manukau Station and FlatBush development managed by Manukau Council’s land development Council Controlled Organisation; and the North Shore Busway project where that Council oversaw station and local arterial busway lanes delivered by a joint steering group. Projects like these were envisioned by the Auckland Regional Growth Strategy when it was adopted by the region in 1998 to manage Auckland’s growing pains of wasteful sprawl, damaging infill development and congestion. The strategy called for a Metropolitan Urban Limit (MUL) to protect rural land, and areas of higher density development at existing urban centres and along public transport corridors. Little happened on the ground initially because land development patterns envisioned by the strategy required changes to Auckland, Manukau, Waitakere and North Shore District Plans, and because public transport services in Auckland were poor. None of the urban regeneration projects mentioned above could have proceeded without District Plan and funding changes that enabled them, and which also enable and incentivise adjacent private property development projects. Changing District Plan provisions for part of a city to enable higher density development is a non-trivial task. A city’s District Plan has legislative status. People and communities manage their interest in land and buildings accordingly because the District Plan provides the framework for assessing resource consent applications. Plan Changes are intensely political activities. Again, there are winners and losers. Private property rights are affected. 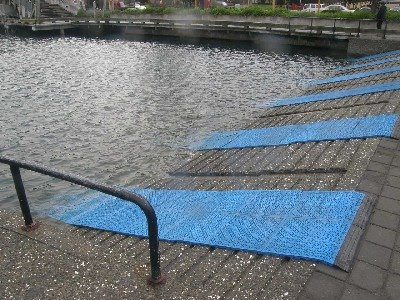 Public realm amenity is affected also. 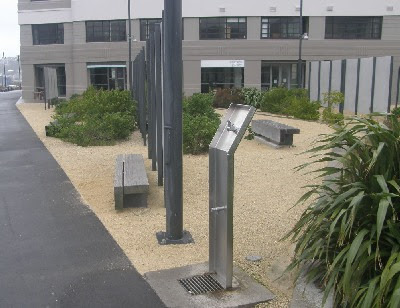 According to Ministry of Environment data, about thirty District and Regional plan changes – some privately initiated – are handled each year by Auckland authorities. From start to finish the more controversial of these take several years to become operative. 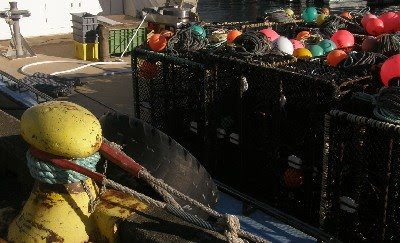 Processing time is in direct proportion to the level of public interest and concern. Plan changes relating to Milford Shopping Centre and St Lukes Shopping Centre are amongst the more challenging District Plan changes in process today. Plan Change hearings are typically heard by elected Councillors, who are accountable for any supporting policy decisions. Plan Changes are not the same as resource consent decisions that are often delegated to officers or independent commissioners. Under current governance proposals Auckland will be served by just twenty councillors. 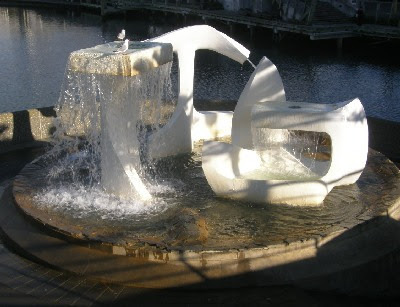 They risk being overwhelmed by the policy and hearings workload of District Plan changes, particularly if these follow the exemplary charrette process adopted by Waitakere City Council in achieving public buy-in for its New Lynn regeneration Project. The 1998 Growth Strategy aimed for 80% of Auckland’s increase in population being accommodated within Auckland’s existing urban area, and the remaining 20% in greenfield development. 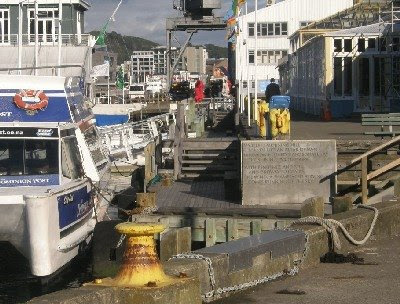 Initially, as Auckland’s councils developed implementation plans, the opposite occurred. Most of the increase in population was absorbed by greenfield development. But by 2006, 88% of Auckland’s growth occurred within the MUL, with some spillover development accommodated in lifestyle blocks. By 2008 Auckland CBD had been transformed from a sleepy commercial centre to a mixed use city-that-never-sleeps full of apartments and city dwellers. Similar changes for Takapuna, Henderson, New Lynn, Newmarket and Manukau CBD are envisaged. Detailed local planning will be essential. Community Boards lack the scale and resources for this work. Auckland has been wasteful of energy as well as land, with 56% of that energy being used in the region for transport alone. The Regional Energy Database administered by Auckland Regional Council estimates that people and businesses in the region spend $3.4 billion per year on energy for transportation. That is a huge economic burden. When transport energy was cheap and roads were relatively uncongested, Auckland’s sprawling land use patterns barely affected the region’s economic performance. But that is not the case today, and the situation will worsen as fossil fuels become scarce. Auckland’s Land Transport Strategy was adopted in 2005 after being supported by all the region’s Councils. It called for a significant shift in investment from motorways to passenger transport systems. Part of that strategy was to free up motorway space for freight transport. This year showed the highest number of passenger transport trips since 1985, and the highest number of rail trips since 1955. Recent years have seen significant progress in delivering the Growth Strategy on the ground and the Transport Strategy on road and rail. The benefits of that progress will be felt for decades to come. But there is a long way to go. It is essential that changes to governance do not send Auckland back to a future dominated again by low density sprawl and motorways. Wellington Waterfront. Midwinter pictures. Permeability 1. 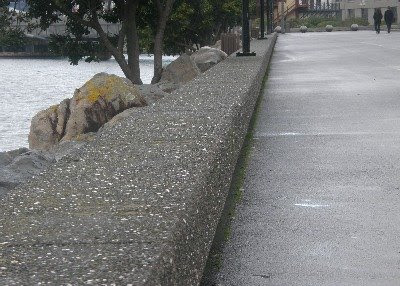 This series of posts about Wellington's waterfront visually analyse what I see as a very successful and popular people's waterfront. There are several themes in these posts. 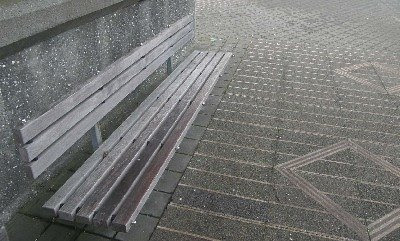 This first one is permeability portrayed in these 7 pictures. Urban transparency. Wellington Waterfront. Midwinter pictures. Permeability 2. Wellington Waterfront. Midwinter pictures. Permeability 3. Wellington Waterfront. Midwinter pictures. Permeability 4. Wellington Waterfront. Midwinter pictures. Permeability 5. 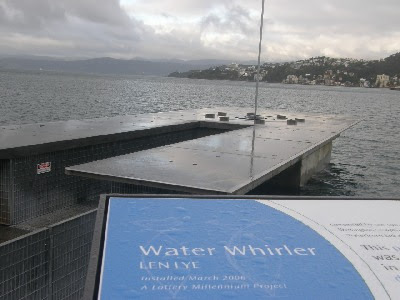 Wellington Waterfront. Midwinter pictures. Permeability 6. Wellington Waterfront. Midwinter pictures. Permeability 7. And inside the private for a coffee. The building itself is permeable, see through. When a wall is not a wall. Maintaining that sense of distance protecting and preserving distant views, even for those not inside, and access to distant treats and pleasures. Wellington Waterfront. Midwinter. Seating 1. Out of the wind. In the sun. Wellington Waterfront. Midwinter. Seating 2. This one's outside the museum. In the sun. 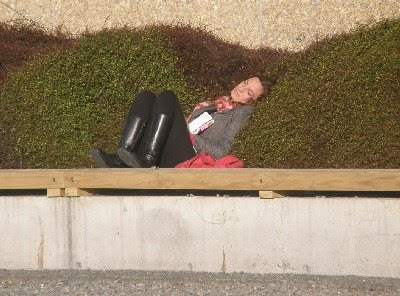 Snug in the bush. Wellington Waterfront. Midwinter. Seating 3. Wellington Waterfront. Midwinter. Seating 4. 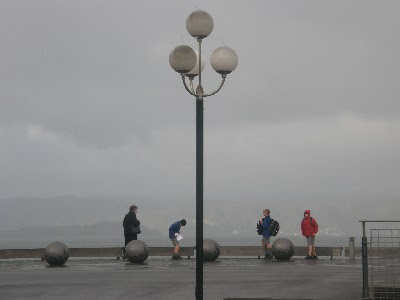 Wellington Waterfront. Midwinter. Seating 6. Wellington Waterfront. Midwinter. Seating 7. Lean back, those backs are soft, have that takeaway coffee, and watch the view and passersby. 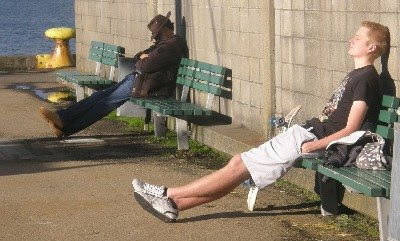 Or lie down, stretch out for a nap. Wellington Waterfront. Midwinter. Seating 8. And if its words you're after - not a book to read. 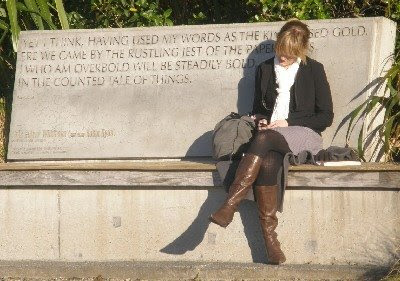 Here's a special place to lean against a sentence, check the texts for that next appointment. Wellington waterfront. Winter pictures. Bridge 1. Wellington waterfront. Winter pictures. 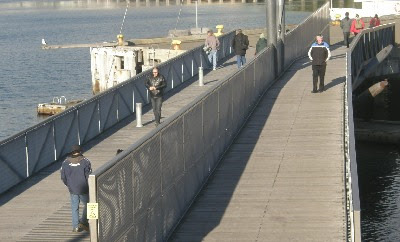 Bridge 2. 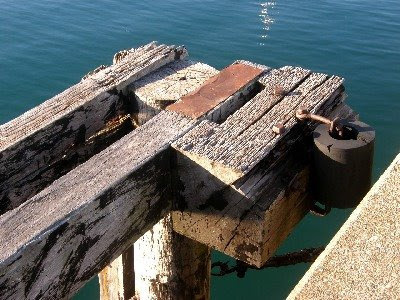 This is a simple lifting bridge. Elegant in design and operation. Wellington waterfront. Winter pictures. Bridge 3. Wellington waterfront. Winter pictures. Bridge 4. 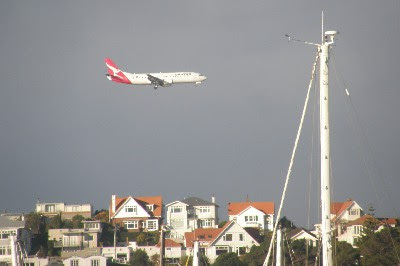 Wellington waterfront. Winter pictures. Bridge 5. 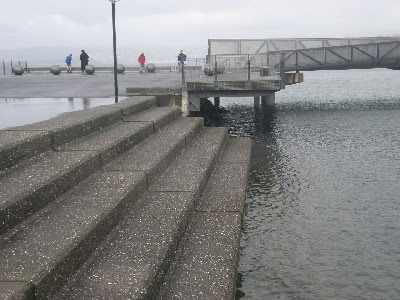 Wellington waterfront. Winter pictures. Shelter 1. 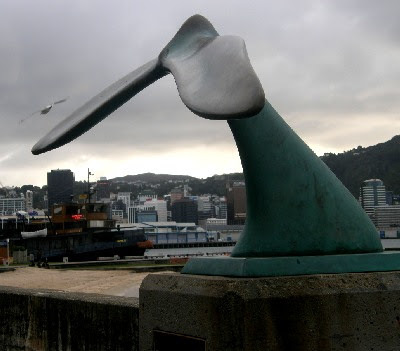 It's windy in Wellington. In case you don't know. And it has been known to rain horizontally. Not to worry. Come to the waterfront and there's a shelter for you. These seats are positioned with screens behind. The screens are metal with holes - so you can see through, but rain and wind are all but stopped. Wellington waterfront. Winter pictures. Shelter 2. Wellington waterfront. Winter pictures. Shelter 3. Wellington Waterfront. Midwinter pictures. Play 1. 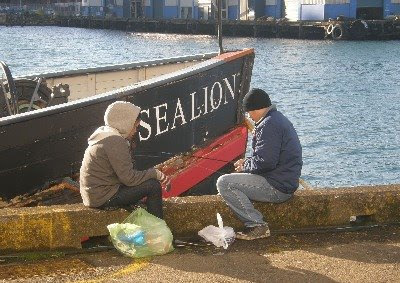 It's cold but fishing is fun in the sun, even when it's slow. Wellington Waterfront. Midwinter pictures. Play 2. 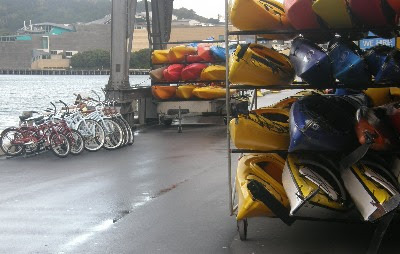 Bikes and canoes for hire. Not so much in winter. But they are still out there, and on the go. Wellington Waterfront. Midwinter pictures. Play 3. Young people at work. Places and spaces where this is encouraged. Room to sit and watch too. Wellington Waterfront. Midwinter pictures. Play 4. Places to sit and catch-up and watch. Wellington Waterfront. Midwinter pictures. Play 5. 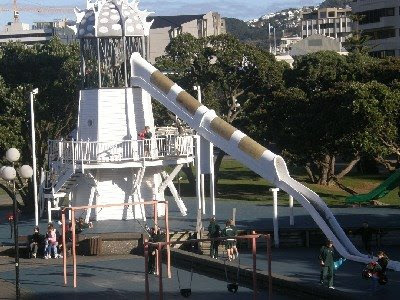 Even the kids playground was busy on the shortest day of the year, with a southerly wafting through. Wellington Waterfront. Midwinter pictures. Play 6. 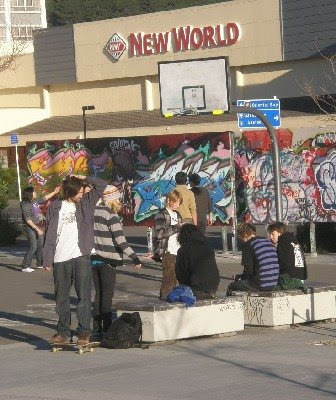 Netball and skateboarding go together here, tucked in behind Te Papa, but fun all the same. And popular. Wellington Waterfront. Midwinter pictures. View 1. And wherever you play, in the background, continuous views of interest. Wellington Waterfront. Midwinter pictures. View 2. 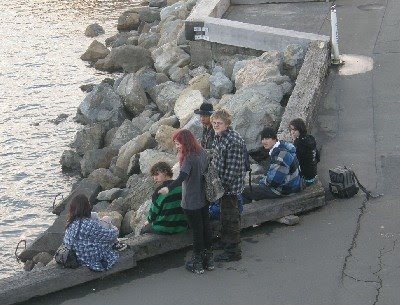 These students were oblivious to the view, filling in forms, doing a research assignment. Oblivious to the cold as well. Wellington Waterfront. Midwinter pictures. View 3. Improbably low, the planes come to land, into the teeth of the southerly, this day. 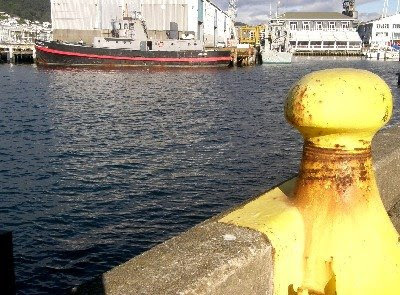 An interesting sight from the wharves. Makes a change from boats. Wellington waterfront. Midwinter pictures. Access 1. 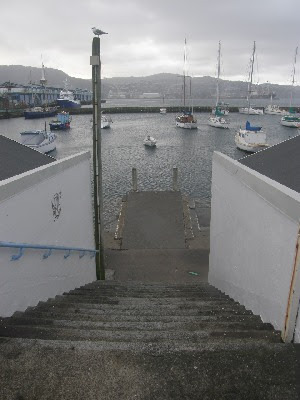 These steps lead down from Oriental Parade. From the street. Inviting. Immediate. Wellington waterfront. Midwinter pictures. Access 2. Wellington waterfront. Midwinter pictures. Access 3. 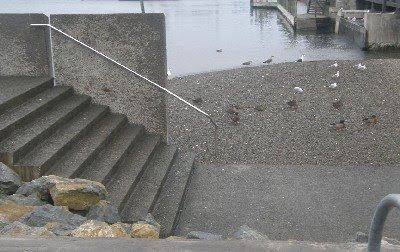 Or more serious step down access. Sit with your feet in the water. Wellington waterfront. Midwinter pictures. Access 4. Wellington waterfront. Midwinter pictures. Men at work 1. Wellington waterfront. Midwinter pictures. Men at work 2. Wellington waterfront. Midwinter pictures. Blue shed 1. Wellington waterfront. Midwinter pictures. Blue shed 2. Wellington waterfront. Midwinter pictures. Blue shed 3. Wellington Waterfront. Midwinter pictures. Artwork 1. Wellington Waterfront. Midwinter pictures. Artwork 2. Whale of a tale in bronze. Wellington Waterfront. Midwinter pictures. Artwork 3. Wellington Waterfront. Midwinter pictures. Artwork 4. Wellington Waterfront. Midwinter pictures. Artwork 5. 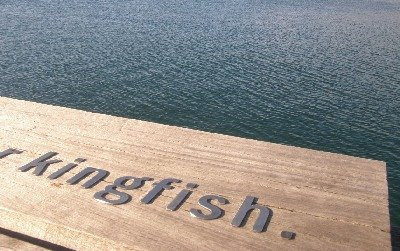 ... the last word in part of a line on wood at the edge of a wharf that reads: "...the sudden pull of kahawai or kingfish..."
Wellington Waterfront. Midwinter pictures. Wharf and piles 1. Wellington Waterfront. Midwinter pictures. Wharf and piles 2. You are welcome to jump off this one. Even a ladder up so you can do it again. Wellington Waterfront. Midwinter pictures. 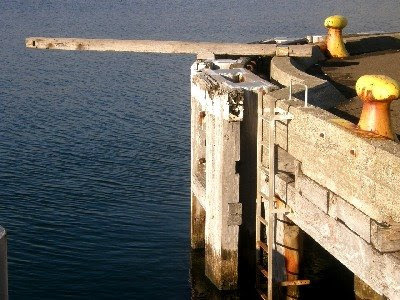 Wharf and piles 3. 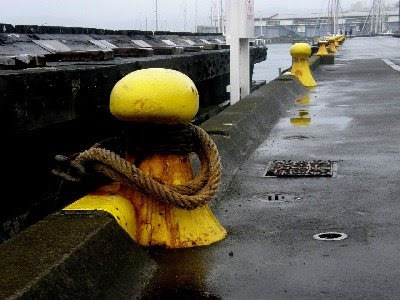 All those bollards, ropes, chains, and cracked-open hunks of hard wood. 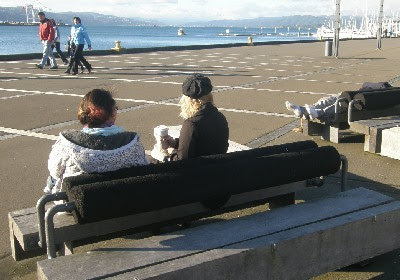 Wellington Waterfront. Midwinter pictures. Wharf and piles 4.